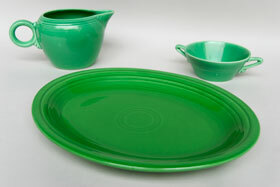 Circa 1959-1969: It is a delight to find any pieces of vintage fiesta in medium green and the platter does not disappoint. 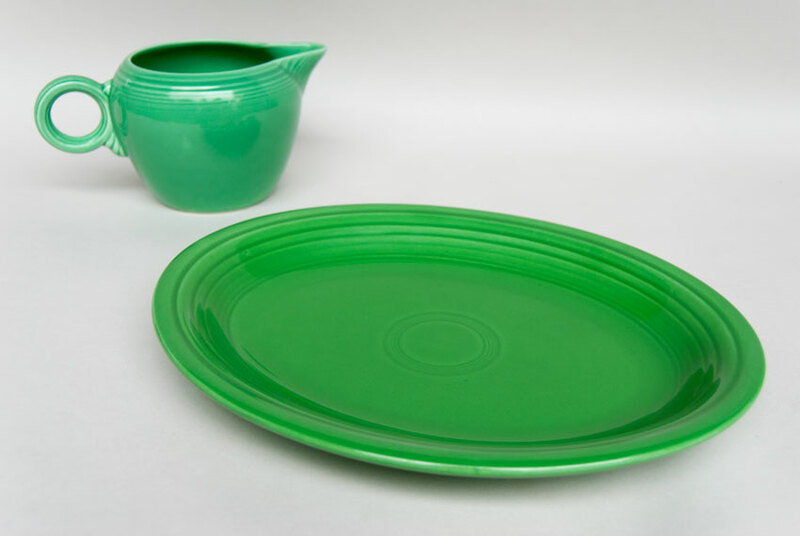 By the end of the 50s fiesta pottery sales were declining and production was much more limited than at the height of popularity ending at the close of the 40s. So not only was medium green produced for much less time than other vintage fiesta colors, it was also produced in less quantities, making it all the harder to find. 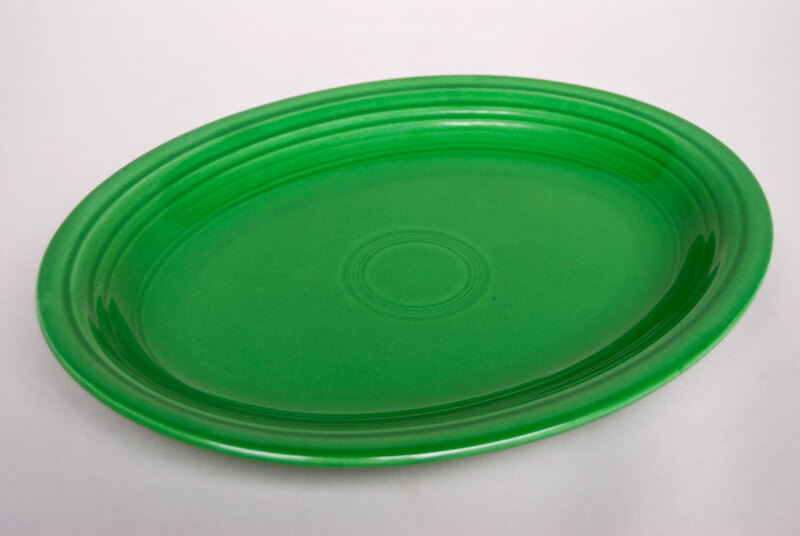 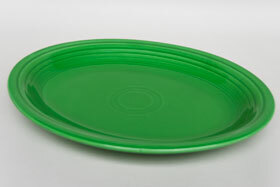 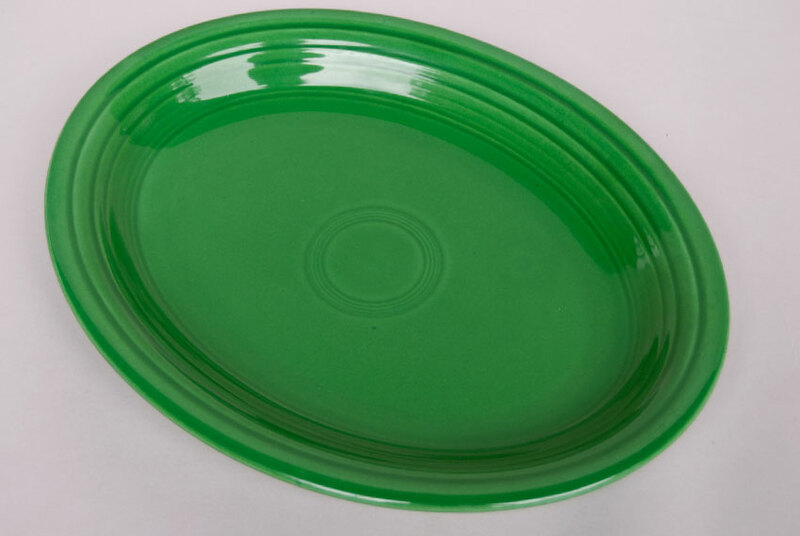 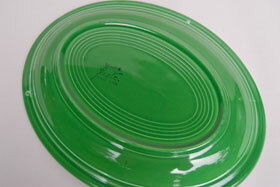 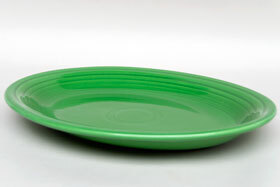 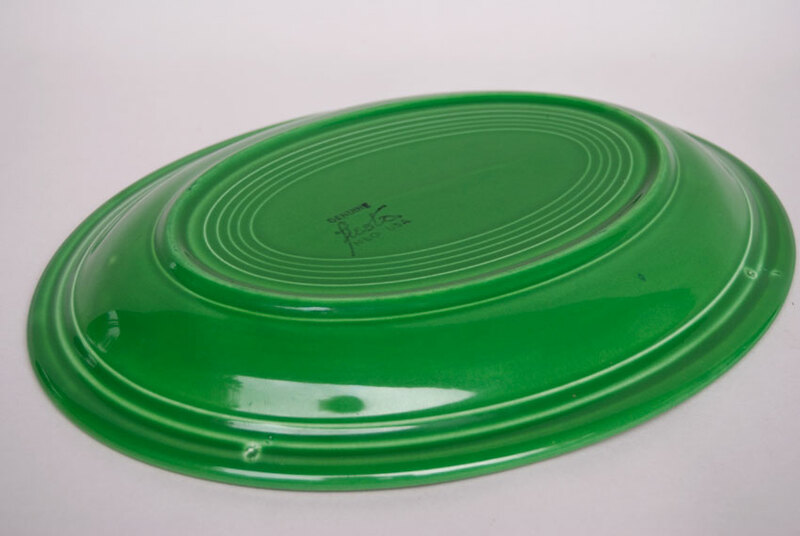 This large oval platter in the elusive medium green is a great find. This example is in fantastic condition. No chips, no touch ups, no scuffs, with a wonderful surface and great rich medium green color. 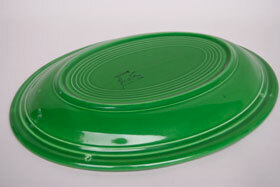 Measures 12 5/8" long. Guaranteed medium green.